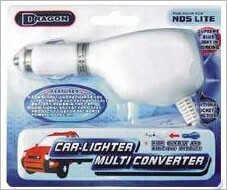 Batteries & Chargers : Car Lighter multiconverter for NDS Lite - SHOP01MEDIA - console accessories and mods, retro, shop - One Stop Shop! in car with this car adapter. charging power such as PSP , NDS, PSTwo , mobile phone etc.